Any prospect of the lazy Sunday afternoon that I thought might have been possible was quickly dispelled by the unexpected arrival of the log man. Apparently he was catching up on deliveries after suffering with a bad cold recently but this kind of service seemed above and beyond the call of duty! A very welcome sight of course as our supply of logs was pretty much all gone and recently we have been burning the “left overs” that had gathered in odd corners of the wood shed. I’m not sure if there is a term which can be used for firewood found like this but “driftwood” doesn’t seem quite right. 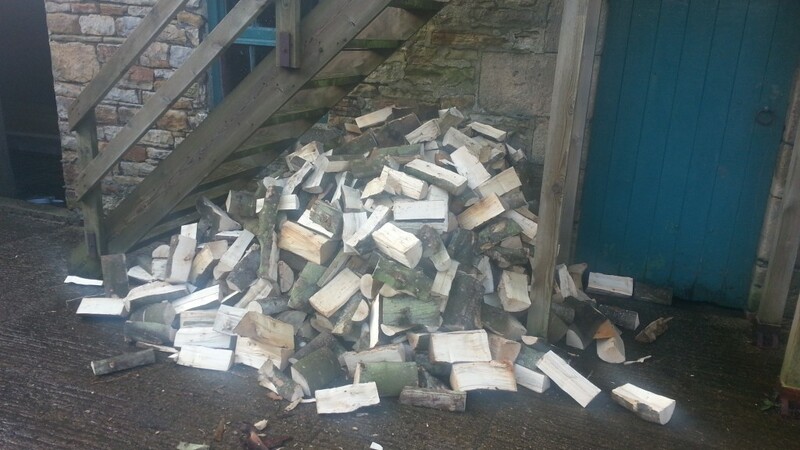 Unfortunately for me, everyone else had somewhere else to be on Sunday afternoon so it meant that I had the pleasure of shifting this little lot into the wood shed. In the end it turned out to be a pleasant enough task especially once it was completed despite the dull ache from all the bending and lifting. 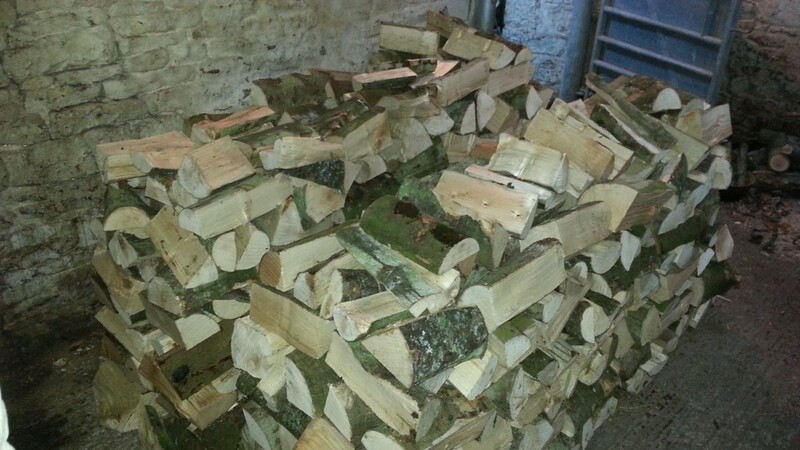 There is something very satisfying about a neatly stacked wood pile even though I’m not sure whether I’m doing it the right way – hopefully there isn’t a “right” way which would obviously mean that I can’t be doing it “wrong”! One thing was clearly highlighted though while doing this, a new wheelbarrow is definitely near the top of the shopping list. The existing one has another flat tyre and I can’t bear to go through the aggravation of mending punctures and replacing the wheel again! At least I got two years use after the previous repair efforts and I can always keep this one for emergencies only. Oh. That’s totally the wrong way to stack a wood pile. So wrong. You don’t want to do it like that. By using the power of WordPress I am able to write the post and delay publication until a later time…. but things have been just a bit quiet at work lately! Not as clever as us being able to comment 10 days into the future! « Veg seeds ordered and 30% off too!